Singapore – Race promoter Singapore GP and Title Sponsor Singapore Airlines had earlier announced a collaboration to raise funds for Community Chest beneficiaries through a charity drive event titled Racing Hearts. Beneficiaries and members of the public got to experience a fun-filled evening and partake in race-themed activities at the F1 Pit Building that was held on Saturday, 26 August from 5pm to 9pm. 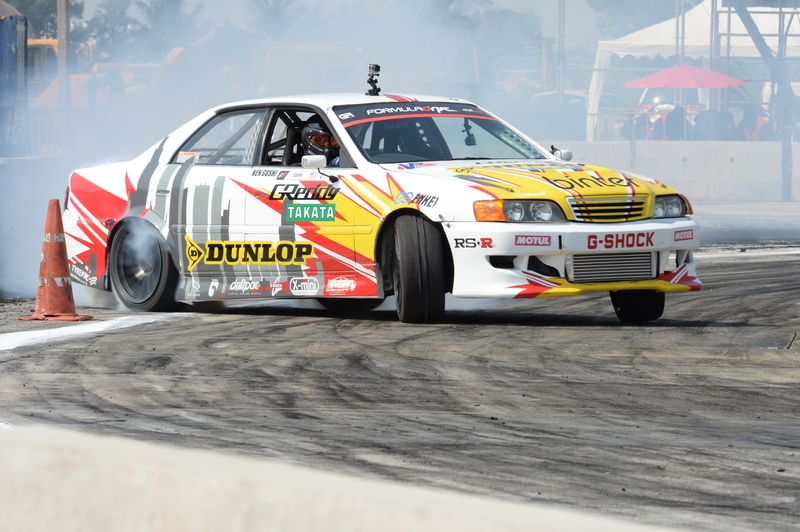 For the first time in Singapore, the public got to enjoy free drifting demonstrations by Formula Drift professionals in a variety of iconic drift cars such as the Dunlop Toyota Chaser, Soarer and an assortment of Nissan Silvias. One of the world’s top competitors, Kenshiro Gushi led the demo team. 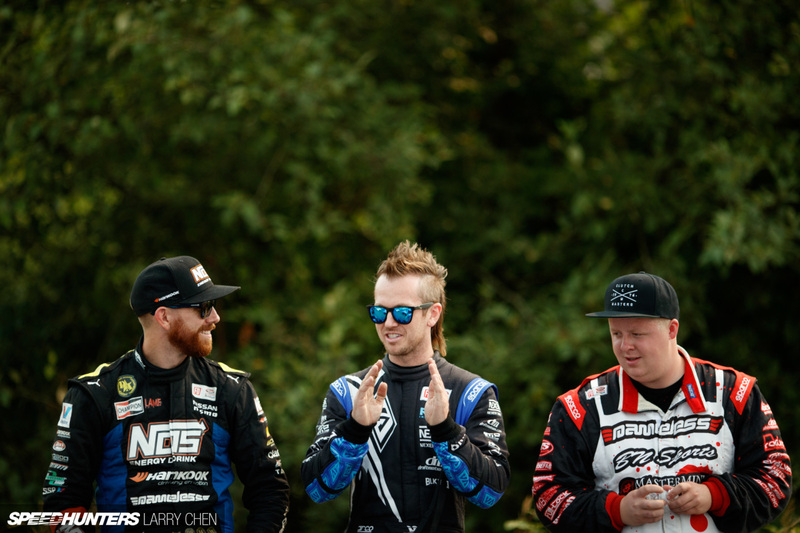 The US-based professional drifter will be supported by Malaysian Formula DRIFT Asia veterans Ivan Lau and Ee Yoong Cherng, as well as Singapore’s very own Ng Sheng Nian and Felix Lim. 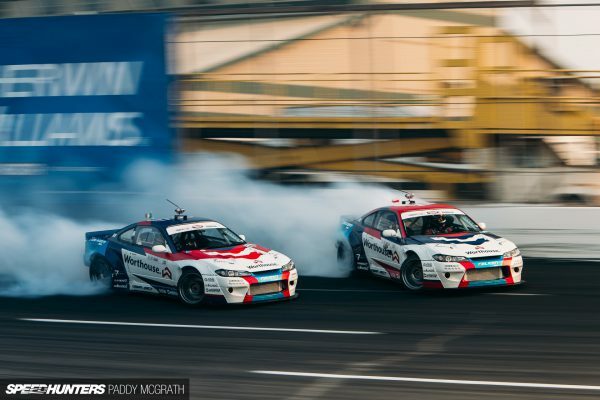 Six lucky members of the public got front-row seats to the drifting action. To raise funds for charity, Singapore residents only needed to submit a minimum bid of S$200 for an exclusive opportunity to strap themselves in the passenger seat with Ken at the wheel. 9tro was on-site to catch all the sideways action, especially since the last time our sunny island saw any kind of Formula Drift event was more than five years ago. It was heartwarming to see the guys back in their machines and tearing up Turn 1 of the Singapore GP circuit. It’s been a very busy summer of Speedhunting for me. 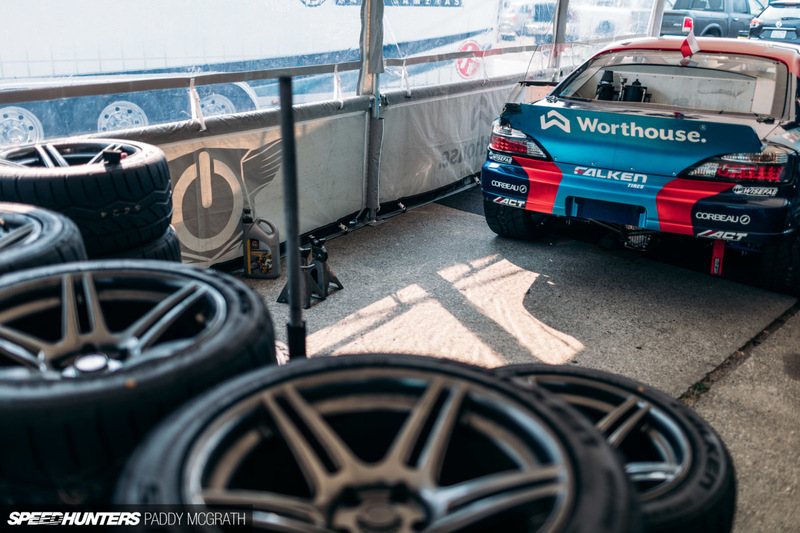 I haven’t updated these pages with many photos from the Formula Drift season thus far as I figured Paddy has been telling some great stories from the paddock while following the Worthouse Drift Team closely. I always like to take a different approach when there’s more than one Speedhunter at the same event shooting the same subjects, and for FD I really wanted to focus on the visual beauty and the powerful emotions behind the motorsport. With that said, here are 100 of my favorite shots from the past four events, with a few captions added here and there. 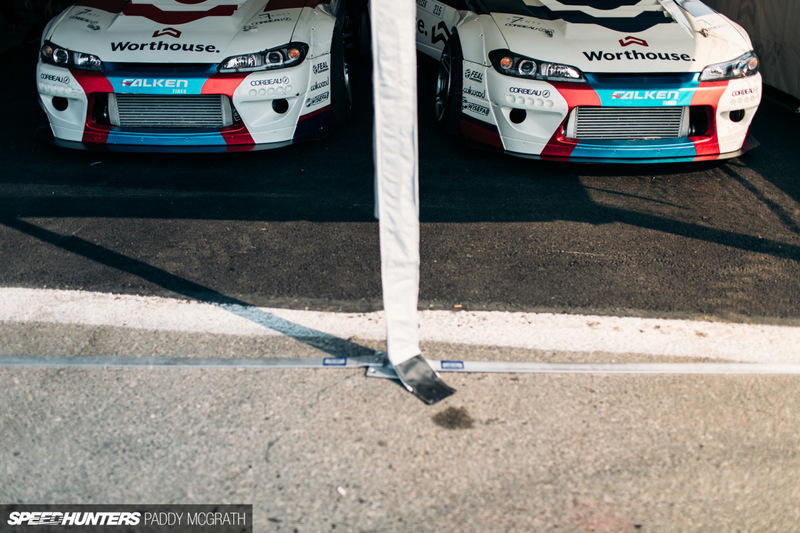 It’s been a crazy season so far with Fredric Aasbø and James Deane at each other’s throats. For the Worthouse team, it’s proved to be massively effective having cars that are 95 percent identical. The sandwich I ate for lunch was this big. 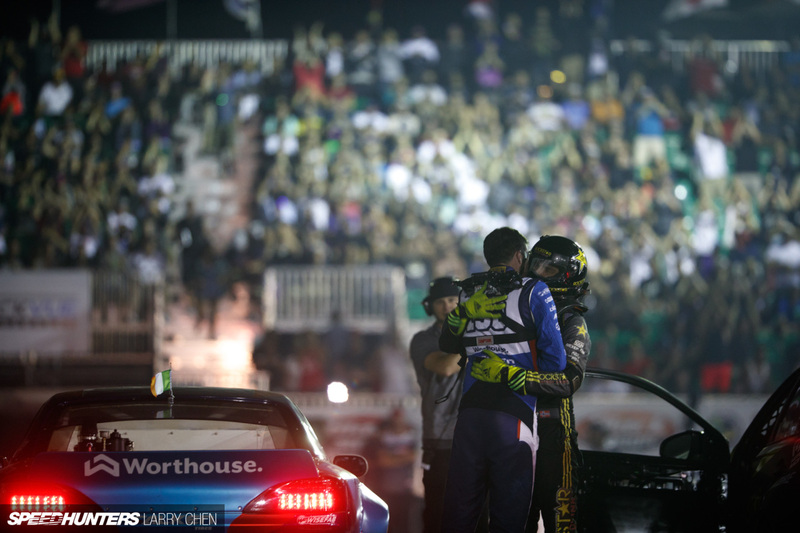 The 2017 Formula Drift season is now well on the later half of the championship now that Round 6 in Seattle has concluded. For 11 years FD has been visiting Evergreen Speedway in Monroe, Washington. Sitting Just outside of Seattle, it is by far one of the favorites on the series schedule, given it has not only a high speed bank after the initiation zone, but allows for several dramatic zones as the course wraps up. Evergreen Speedway already had smoke in the air from the nearby wildfires, and Round 6 surely wasn’t about to help the situation. Odi Bakchis won Seattle last year, would he repeat in front of the packed house? Let’s recap and find out.